Soyuz launch pad at Guiana Space Centre. 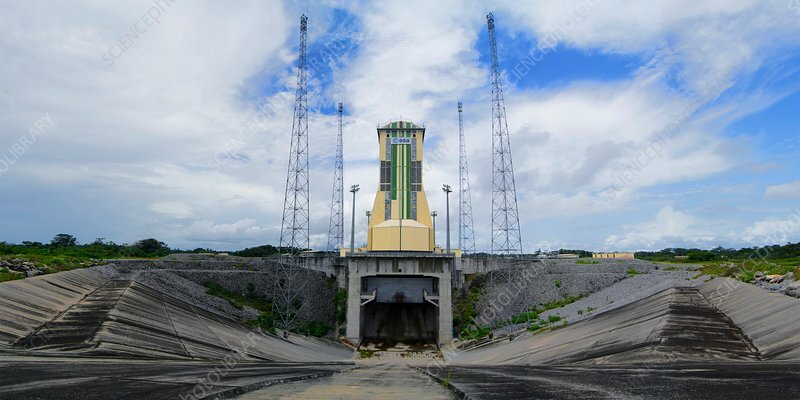 A panoramic view of the Soyuz rocket launch pad at the Guiana Space Centre (Centre Spatiale Guyanais, CSG) near Kourou, French Guiana. This multi-frame, high-resolution panorama shows the flame trench with launch pad at centre. The protective housing above the concrete launch pad is rolled back before a launch. The four towers form the lightning protection system.